During December, KDA-DWR sent notice to all water right owners and water use correspondents of the fee for paper filing and our enhanced support for free, on-line filing of wateruse reports. KDA-DWR has been working to ramp up support for filing on-line. Free assistance for online reporting is available from KDA via our website (including video tutorials), by phone, or in person at any of DWR’s field offices. KDA-DWR is currently developing additional outreach to assist water users at other locations which will be listed on our web site in the near future.  On December 26, 2018, the Thomas County District Court dismissed Woofter v KDA, which sought review of the Chief Engineer’s order establishing Northwest Kansas Groundwater Management District (GMD) No. 4’s “district-wide” Local Enhanced Management Area (LEMA) generally, and in particular, the order’s delegating decisions related to setting allocations for the plaintiffs to the GMD. The judge determined that that Chief Engineer lawfully delegated the ability to set and review LEMA allocations via the LEMA’s management plan to the GMD. The judge’s order is on KDA’s web page for the GMD4 LEMA. A direct link to the decision. This leaves Friesen vs. Barfield as the last remaining court challenge to the GMD4’s LEMA. The Arkansas River Compact Administration (ARCA) annual meeting will be held on Friday, Dec. 7, 2018, at 9:00 a.m. CST at the Clarion Inn, 1911 E Kansas Ave. in Garden City. The meeting agenda is posted on ARCA’s website at www.co-ks-arkansasrivercompactadmin.org. ARCA administers provisions of the Kansas–Colorado Arkansas River Compact, including operations of the John Martin Reservoir. Topics to be covered at the annual meeting include a review of John Martin Reservoir operations, compliance update, committee reports, and updates from state and federal agencies. ARCA will consider the continued use of a new source water to replace evaporation and potentially fill the John Martin Reservoir recreation account. A specific project that will be reviewed is the inspection of the stilling basin below John Martin Reservoir that is being done during the non-irrigation season. ARCA’s Engineering, Operations, and Administrative and Legal committees will meet on Thursday, Dec. 6, 2018, starting at 1:00 p.m. CST, also at the Clarion Inn. The annual meeting and committee meetings are open to the public. Individuals who require special accommodation should notify Stephanie Gonzales at 719-734-5367 at least three days prior to the meeting. The Kansas-Colorado Arkansas River Compact was negotiated in 1948 between Kansas and Colorado with participation by the federal government. Its stated purposes are to settle existing disputes and remove causes of future controversy between Colorado and Kansas regarding Arkansas River water and to equitably divide and apportion the water between Colorado and Kansas, including benefits arising from John Martin Reservoir.